of the last meal he would ever eat." What?! The last meal he would ever eat? Why? Is Masterton describing an old, ailing couple? Nope, the rest goes on to describe a young family and their terrible fate at the hands of the Fog City Satan. How can this harsh intro NOT grab horror-novelist fans? 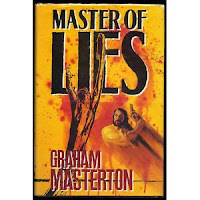 Although Master of Lies begins with a bang, the book does trail off into police procedural business, which follows detective Larry Foggia as he investigates, interviews, attends seances and visits occult bookstores to research and nail the killer. There are a few additional gory scenes before we reach the ending climax, which, as is always the case with Masterton's work, is unpredictable. Kudos to Graham Masterton for once again making me sick to my stomach and providing top-notch horror to the masses! As always, I'll be continuing to add his books to my reading wish-list. 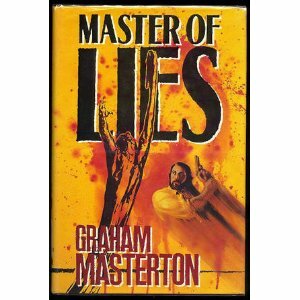 Graham Masterton 's newest titles are Basilisk and Fire Spirit .